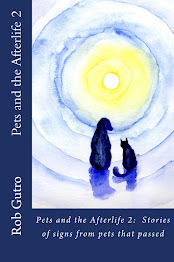 On Monday I received an email from the Northeast Animal Shelter in Salem, Massachusetts, where earlier this year, I gave several lectures about how pets communicate from spirit. The email said that a donation was made in memory of my dog Sprite and Spencer, Bridget Sykes' dog. Bridget made the donation in Sprite's memory for me. Bridget contacted me earlier this year about the passing of her beloved dog, Spencer. This is a great way to say thanks, and I really appreciate it! Bridget, you made my week. Northeast Animal Shelter in Salem, Mass. 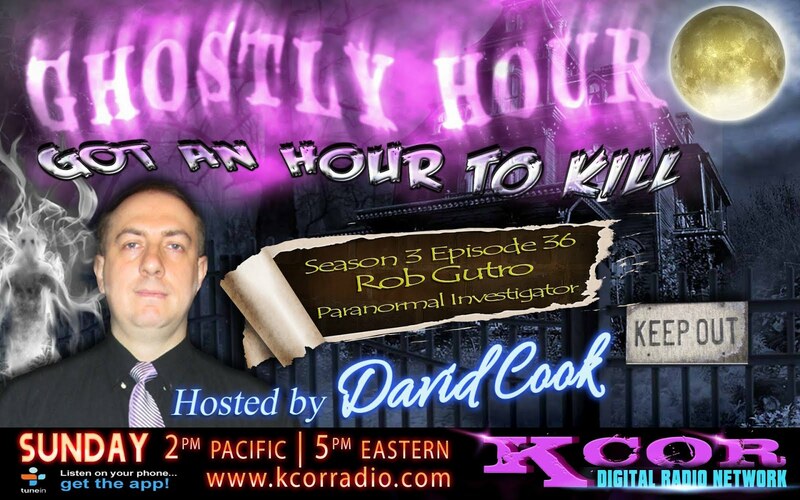 If you missed my live interview on the Ghostly Hour, earlier this month you can hear the podcast here! 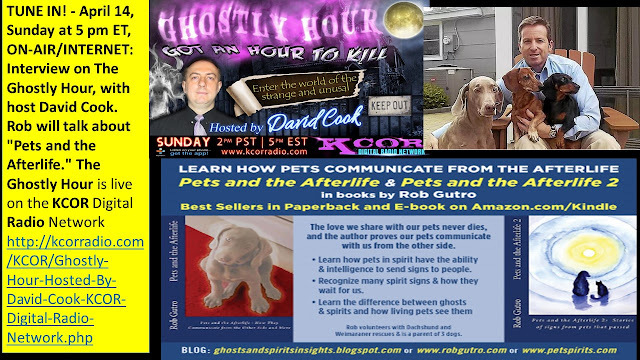 David Cook Host of the Ghostly Hour in the United Kingdom talked with me Rob Gutro about Pet Spirits and how the communicate. This hour podcast goes Very Fast! 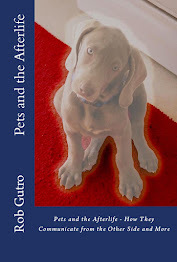 Rob's books "Pets and the Afterlife" and "Pets and the Afterlife 2" are available on Amazon.com around the world, in paperback and E-book. A Michigan couple is looking for a new home after they say they captured nanny cam footage of a ghost in their 1-year-old daughter’s room and mysterious scratches on the her face. Joshua Higgins, 30, and Heather Brough, 25, said they believe their Highland, Michigan, home is haunted after they saw footage of what they believed to be a ghostly figure wandering around their daughter, Lily Higgins’ crib. In the video, Lily suddenly stands up and looks around as the figure appears to walk across one side of the room. The couple decided to check the footage after they found unexplained scratches on Lily’s face. Brough said she had just woke Lily from a nap when she spotted the deep “purple scratches” on the baby’s cheek. This is not the first strange occurrence at the home, though. Brough said she has heard an “angry male voice” screaming and laughing. She recalled at least once hearing footsteps up and down the stairs as she took a shower. 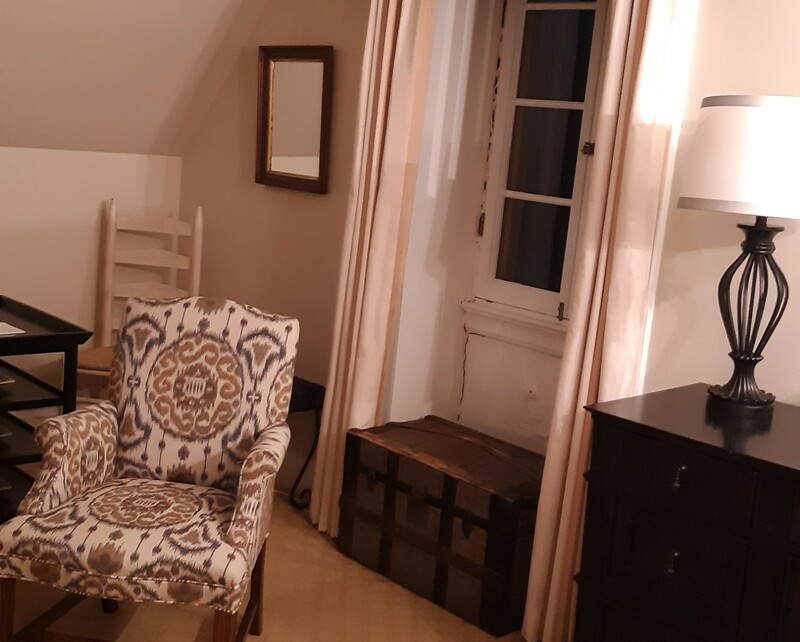 Brough and Higgins live in a guest house owned by Higgins’ mother, Kris. Kris, who lives in the main house nearby, said an investigator has determined there is paranormal activity in her home — but she said she doesn’t know what could have caused the incidents in the guest home. “I was told when we bought the houses 11 years ago the lady who owned the property died in the main house. It’s an old farmhouse and according to her niece … she fell down the stairs, broke her hips and laid there for a very long time before she passed away,” Kris said. However, Higgins’ father, Jim Higgins, told WXYZ that a man who lived at the home originally died after jumping out of a window. Although t is unclear who may be haunting the home, the couple said one thing is certain: they’re moving out. 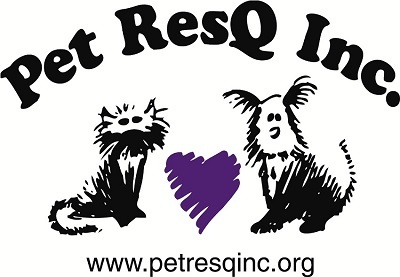 On June 7, the event is called "An Evening with Rob Gutro"
Pet ResQ Inc.is a not for profit 501c3 organization dedicated to saving unwanted pets.Most of our rescues are "special needs" whether it being badly abused, older or handicapped.Without Pet ResQ Inc. euthanasia would be their destiny! We rescue without prejudice. Many who have no where else to turn. We are their voice. 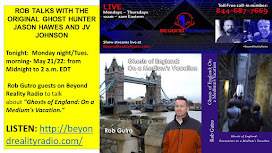 Join my friend Mike Ricksecker of Haunted Road Media for this week's Video of Friday Night Ghost Frights! 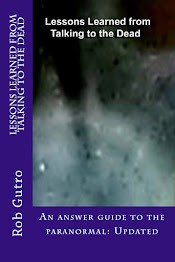 He focuses on the Truth Behind Helltown, Ohio Urban Legends! 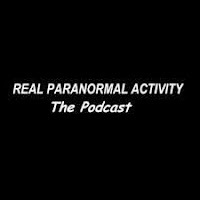 ABOUT THIS EPISODE: The truth behind the Helltown Ohio urban legends! Every legend has some grain of truth, and the infamous area in Ohio known as Helltown is loaded with plenty of urban legends. From aliens to chemical spills to satanic cults to conspiracy theories, the stories are plentiful and it doesn’t help when television shows come out that perpetuate the myths. So, what really happened? Is there really supernatural and paranormal activity? inside the history, lore, and truth behind some of Helltown's biggest urban legends! Who Haunts the Carroll Room at the Belmont Manor? If you take the Inspired Ghost Tracking tour of the Belmont Manor in Elkridge Maryland, I will take you to the Carroll room. 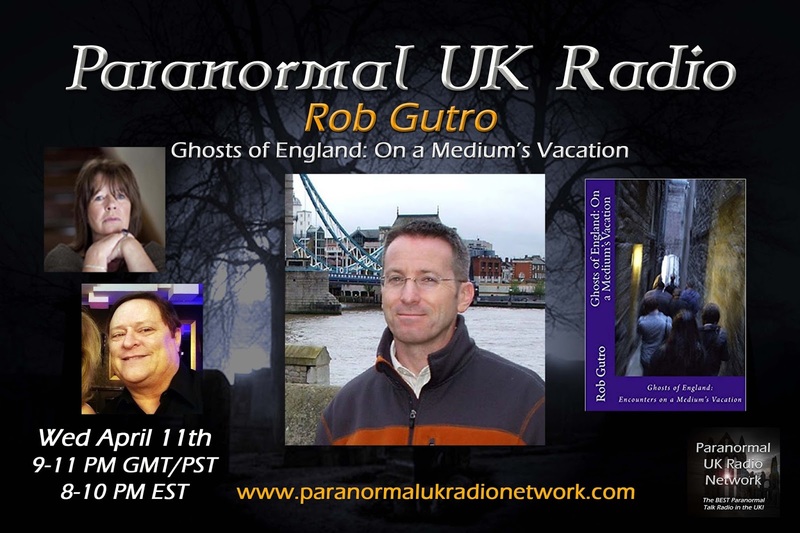 You'll learn about a ghost who frightened a man doing rehab work in the room, and the strange thing that happens with the windows when no one is in the house at night! A couple of times a year, Inspired Ghost Tracking provides "haunted tours" of the Belmont Manor, where you'll hear about the different "friendly' ghosts" who linger in specific rooms or parts of the home, and don't want to leave. 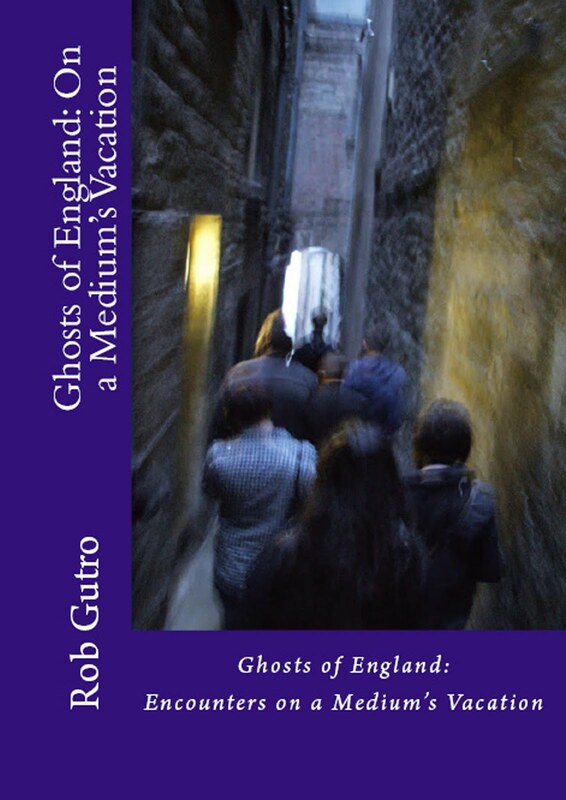 You'll also learn about the history of the manor, a murder and a ghostly doorway! For information on Future Ghost Tours of the Belmont: ** Paranormal Ghost Tour at the Belmont Mansion, Elkridge, Maryland - Join the Inspired Ghost Tracking team as they guide you on a tour of the Manor, grounds and cemetery (weather permitting). 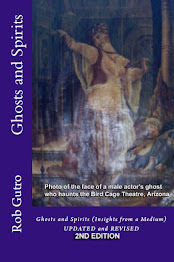 Participate in a paranormal investigation and visit areas where paranormal activity is suspected. Sign up for this and “Meet the Friendly Ghosts of Belmont” to get the whole experience! 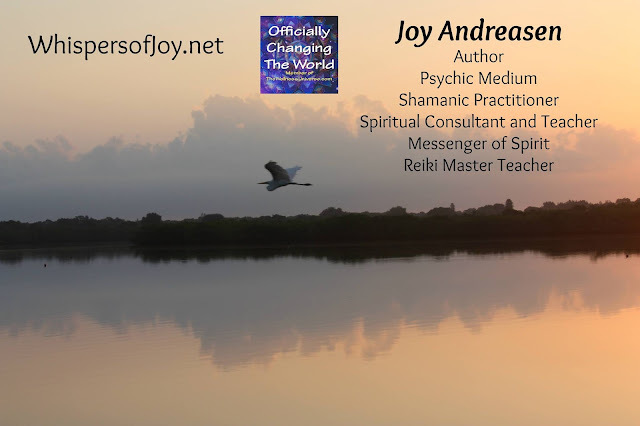 Every Tuesday, my friend Joy Andreason provides "Tarot Tuesday" to give you some insight into tarot cards. 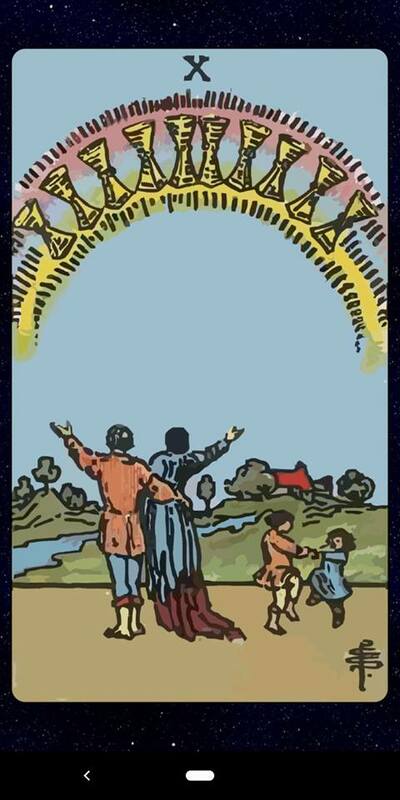 Today's Card is the Ten of Cups. Joy says: This is the card for.. "and they all lived happily ever after." If you are not living this card, today is a day to think about what your happily ever after looks like and realize you can manifest that! Believe it, make a plan, and don't talk yourself out of it! CARD DESCRIPTION: On the Ten of Cups, a loving couple stands together, arms outstretched, as their two children play nearby. They look towards their home on the hill and a beautiful rainbow in the sky filled with ten cups. These two have true, everlasting love and have everything they could ever wish for – the home, the kids, and most importantly, fulfilling love – and they share this bond with the people around them. The family home symbolizes stability and comfort, while the grassy hills signify fertility and the river marks the flow of emotion. The rainbow signals the end of difficult times and is a sign from the Divine that everything will be okay. 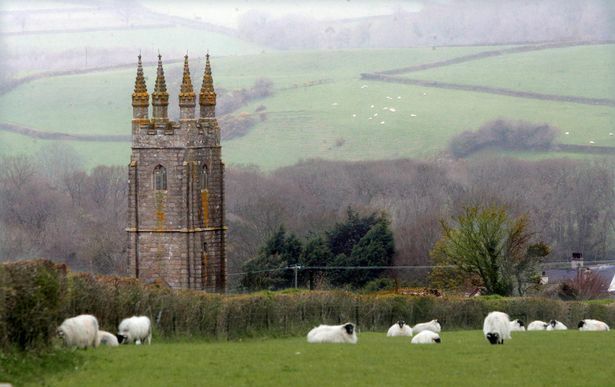 The idyllic scene is one of true emotional fulfilment and Divine love. BIOGRAPHY: Joy Andreasen is an author, shamanic practitioner, psychic medium, spiritual consultant, Reiki Master Teacher and wedding officiant. She has been giving messages from Spirit for almost twenty years. 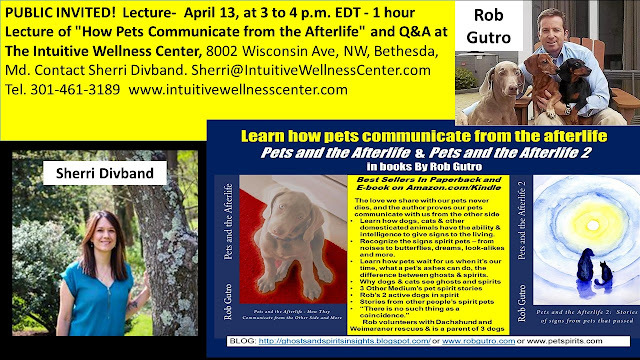 She teaches spiritual development and shamanic classes in Winchester and Herndon Virginia which are always highly acclaimed. 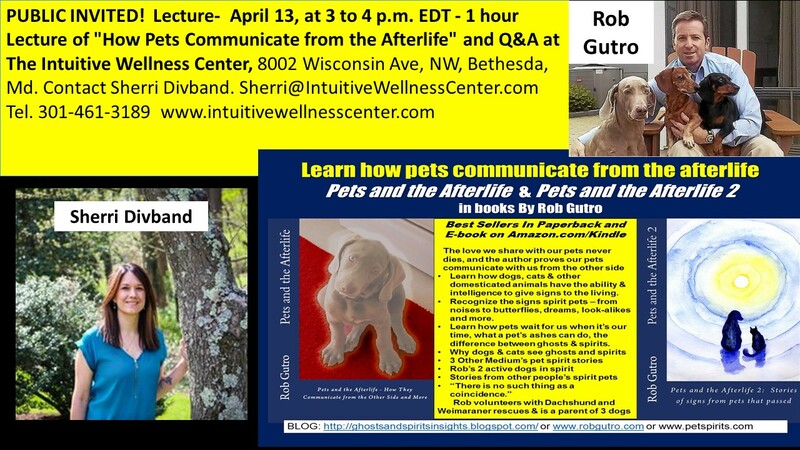 This past weekend, Sherri Divand of Intuitive Wellness in Bethesda, Maryland brought me in to talk about how pets communicate from spirit. Sherri offers an amazing array of energy-based services from Reiki to hypnotherapy, "Access Bars" (read below), hypnobirthing and more. The group for my lecture consisted entirely of women, and some of them were sensitive and one was also a fellow paranormal investigator (from a different group than the one I am in). 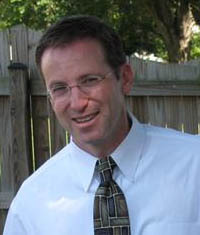 Sherri herself is very sensitive and does a lot of energy work and healing in her practice. In this blog you'll read Sherri's note about the event, and see all of the amazing services she offers. 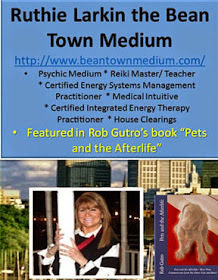 I've had Reiki treatments and they really work. Energy is an amazing healer. Rob,It was such a pleasure to hear you speak, and the group really enjoyed it. They couldn’t stop talking about it after you left. Thank you for taking time out of your day to come hang out with us. It was a smaller group than expected, but great energy. 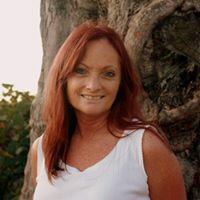 ABOUT SHERRI AND INTUITIVE WELLNESS: My mission is to assist in the elevation of the planet by empowering one person at a time to tap in to their true potential by discovering their innate ability to heal their mind body and soul, starting with embracing and loving themselves, leading to transformational freedom. 1) Sherri is a Master Certified Transpersonal Hypnotherapist through the National Association of Transpersonal Hypnotherapists (NATH). 2) Energetic Healing Sessions - I explain what I will be doing during the session to tap in to their energetic vibrational field, to determine where their energetic blockages are and which emotions are attached to them. 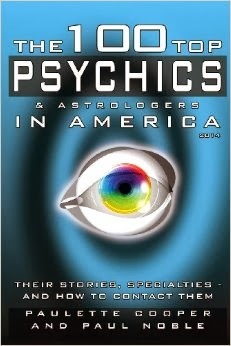 I re-balance all chakras and discuss which energy centers had blockages or dis-harmony. Intuitive guidance is also given. 4) HypnoBirthing® The Mongan Method is considered the Gold Standard of birthing with hypnosis. HypnoBirthing is based on a philosophy that a healthy mother can achieve a peaceful and healthy birth. It is a method to teach women to be empowered, to take control of their pregnancy as well as the birth. 5) AND MORE! - Learn Reiki, Sound bowls, and check out her Workshops and Classes! Interview: Rob Returns to the U.K.'s Ghostly Hour Program Tonight: "Pet Spirits"
Tonight, April 14, Sunday at 5 pm ET, ON-AIR/INTERNET: Tune in to the Interview on The Ghostly Hour, with host David Cook! 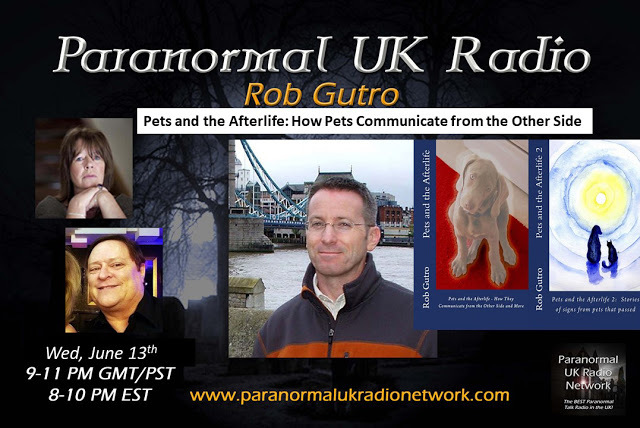 Rob will talk about "Pets and the Afterlife." 4333for whom they are intended, and sometimes take a while to figure out. 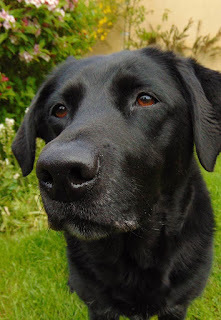 Back in June of 2018 a dog dad emailed me about the passing of his black Labrador retriever. Of the signs I gave him from his Lab, one of them didn't make sense. That was the number 512. Sometimes, spirit will give me numbers that either signify a time, date or other thing that is intensely personal to them or the person getting the reading. Eight months later, the dog dad wrote me back and figured out what 512 meant, and it was very meaningful. I hope you are well. Last year you helped me deal with the loss of my two labs. Aly and Blake. 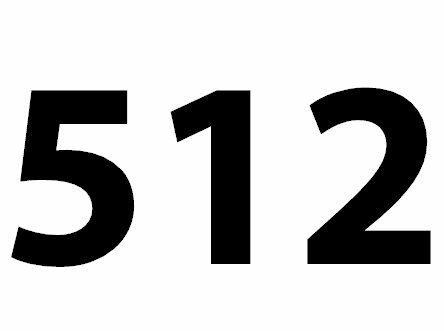 Blake sent you the image of 512 and have been waiting to connect that number with something. I am a physician and I noticed one of my patients had the diagnostic code of 512 which stands for pneumothorax, which means collapsed lung. Did Blake sense his lung collapsed? He had a condition called laryngeal paralysis which has the potential complication of a pneumothorax. The diagnosis is relevant in that it is a possible complication of is neurologic condition of laryngeal paralysis. Did Blake’s spirit confirm or am I just making the connection? I told the dad that I did remember his Labs in spirit and the number 512, because signs that can't be made sense of stick with me. I sometimes dwell on them and try to figure them out. I was ecstatic to receive the email because "512" was a personal message only Blake's dad could identify, since he is a doctor! No one else would have any idea what 512 meant outside of those in the medical field. I replied that Blake was telling him that he felt his lung collapse and it became painful very difficult to breathe. The number was Blake's confirmation of the condition and Blake provided that number so his dad could make the connection on purpose. That's amazing. This super smart Black Lab sent a number knowing that only his dad would know what it meant. That's how he proved that he was the one communicating. So, if a sign doesn't mean something to you now, eight months or a year from now, you may figure it out!